. 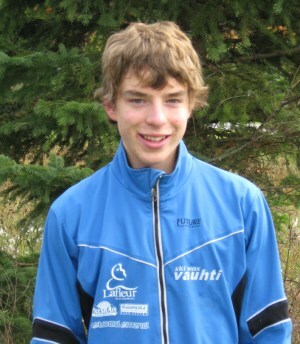 : National Ski Team Announced: XC Ottawa's Colin Abbott nominated to Junior National Team :: Ski XCOttawa.ca :: Skiing in Ottawa and Gatineau Park :. It's that time of year. . . nations are reviewing the year's results and figuringout which athletes to nominate to their national squads. Cross Country Canada announced the National Ski team this week, and XC Ottawa's Colin Abbott was nominated to the Junior National Team. Congratulations Colin! Other local nominations to the national team are all from the Nakketok Nordic Cross Country Ski Club and include Steffan Lloyd and Andrew Stewart-Jones, who will be joining Colin on the Junior team, and Perianne Jones, who was nominated to the Senior World Cup team. Here is the Canadian roster, as announced by Cross Country Canada. The US Ski Team also announced their 2010 team this week. You'll find their roster here.